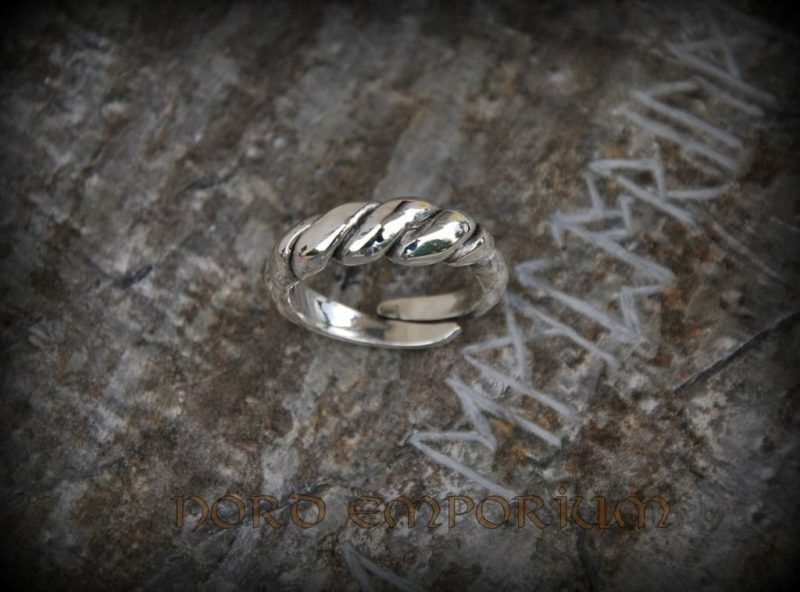 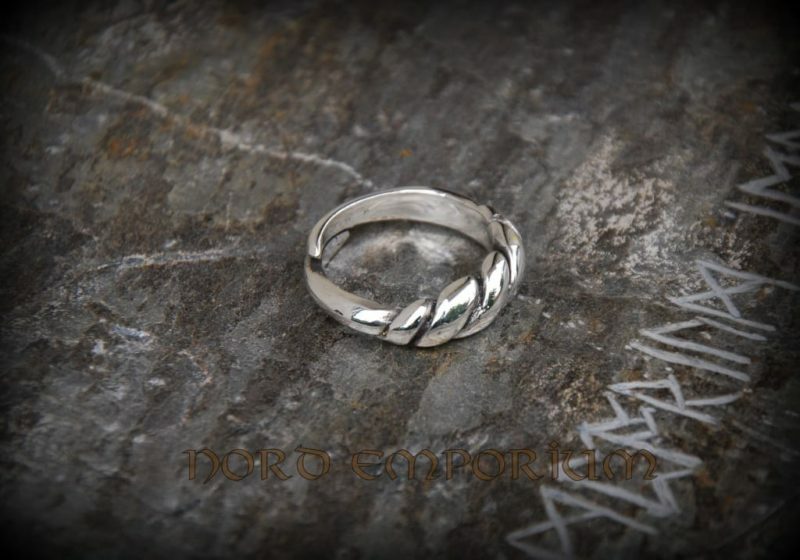 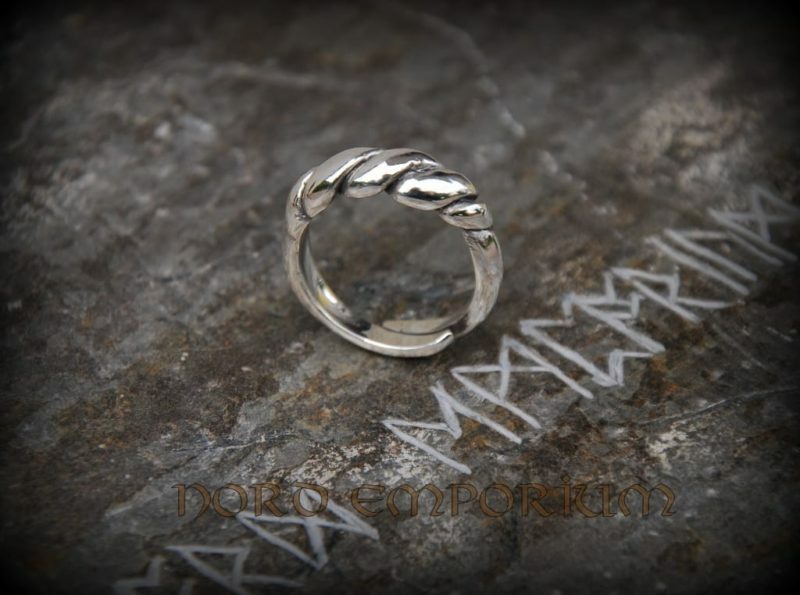 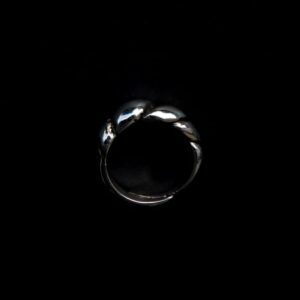 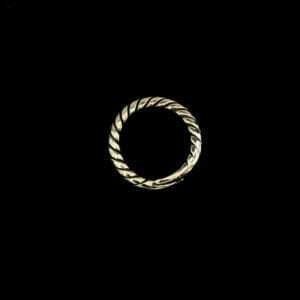 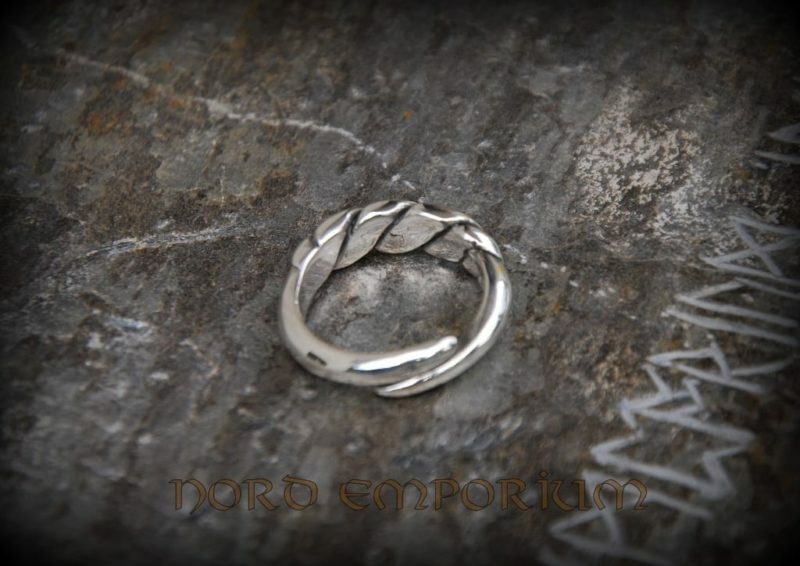 This traditional Viking ring is a reproduction of one found during field work in 1901 at Gyldensgård in Vester Marie parish in Bornholm, Denmark. 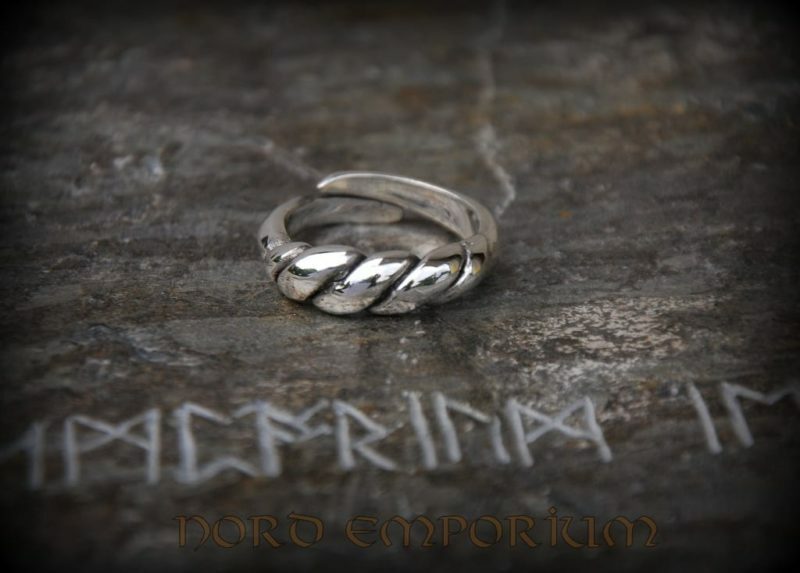 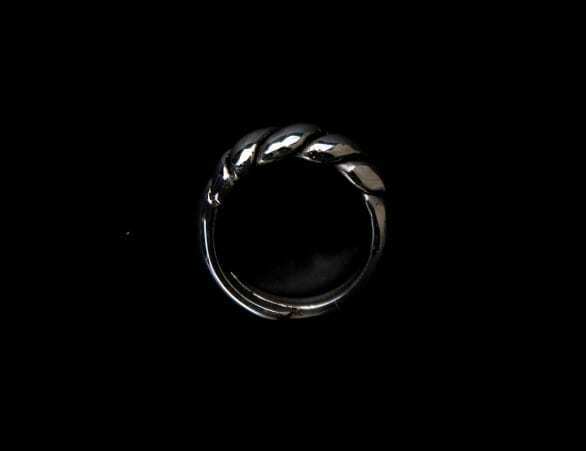 The original ring is massive and weighs 17 grams, this one is scaled down to 9.5 grams. 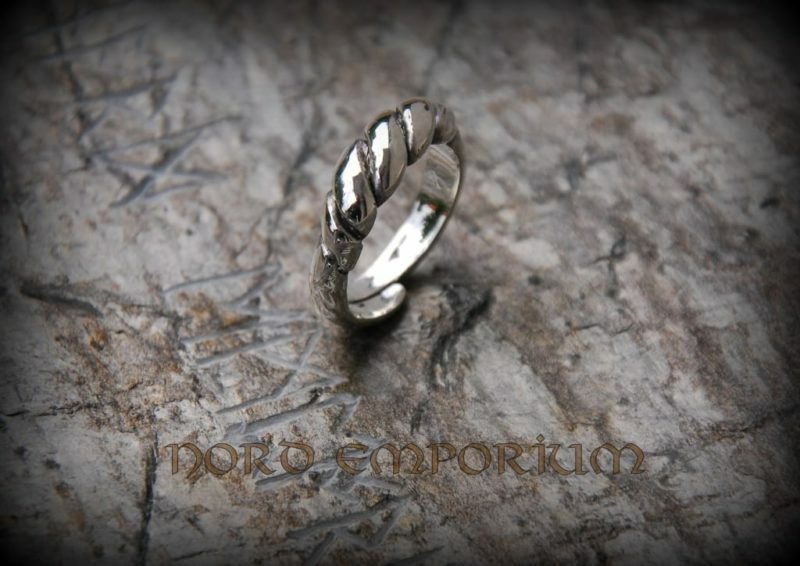 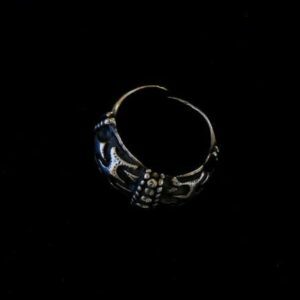 Made of sterling silver and oxidized in the crevices. 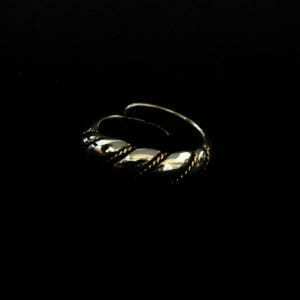 Like the original, is also adjustable ring with a comfortable fit that won’t pinch your finger.